Arguing About Human Nature covers recent debates--arising from biology, philosophy, psychology, and physical anthropology--that together systematically examine what it means to be human. Thirty-five essays--several of them appearing here for the first time in print--were carefully selected to offer competing perspectives on 12 different topics related to human nature. The context and main threads of the debates are highlighted and explained by the editors in a short, clear introduction to each of the 12 topics. Authors include Louise Anthony, Patrick Bateson, David Buller, John Dupre, Paul Griffiths, Sally Haslanger, Richard Lewontin, Ron Mallon, and E.O. Wilson. Contributors Rachel Cooper, Nancy Holmstrom, Kim Sterelny, and Elizabeth Cashdan provide brand new chapters in these debates. Suggested Reading lists offer curious readers new resources for exploring these debates further. 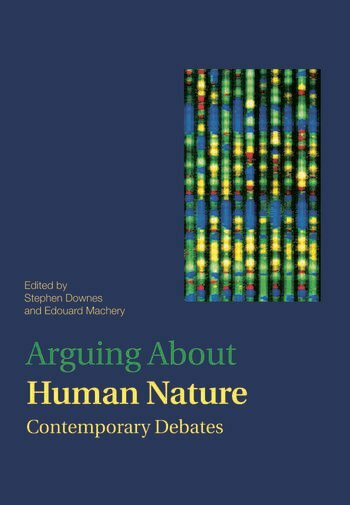 Arguing About Human Nature is the first volume of its kind, designed to introduce to an interdisciplinary student audience some of the most important arguments on the subject generated by scientific research and philosophical reflection. Stephen M. Downes is Professor of Philosophy at the University of Utah. Edouard Machery is Associate Professor of History and Philosophy of Science at the University of Pittsburgh.